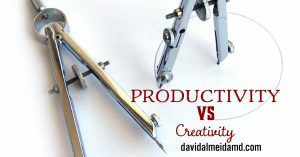 TASK AT HAND: This week I’m thinking about productivity versus creativity. Productivity – how we think – can be thought of as the grammar or syntax of a sentence. Creativity – what we think – are the words, concepts and emotions in that sentence. I think of productivity as the order and arrangement of a composition whereas creativity is the unique melody. While productivity tends to have basis in ordered and logical processes, creativity can be borne out of entropy and randomness. “Productivity is the order and arrangement of a composition. Linear thinking; for example, events separated by time, follows a predictable pattern of organization and can be connected without much labor. On the other hand, the connection of multi-dimensional coordinates usually requires creativity to consolidate disparate variables. Creativity can provide wonderful and novel insights into problems and phenomenon but, the crux is that creativity is not enough for successful strategy. At some point, creative findings need to be distilled into elements of capable comprehension for effective decision making. In summary: being creative is not enough! Much talent is wasted and, we all know examples, where lack of work ethic undermines the creative process. Why discuss these two concepts here on this week’s Sunday Surgical Scrub? Over the last few weeks, I have received emails and questions on how to enrich one’s creativity. Personally, few wonders are as rewarding as the creative process; however, often, creativity, or a lack thereof, is not the problem. The more commonly encountered issue lies in deficiencies in bringing that original concept – what you thought – into a thesis that can be evoked and understood. I need to emphasize that the call to action here is not for more productive individuals at a cost of creativity. Rather, seek a state of wholeness where both the synthesis and organization of new thoughts and ideas coexist. Find congruency in their relationship. Next time you are pondering problems or reflecting on ramifications, break down the elements of your decisions into the aspects of productivity (how you think) and creativity (what you think). 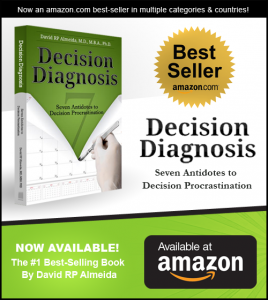 This will give you valuable insight into the overall process. You will be surprised at your creativity, and you will appreciate the process for decoding it. 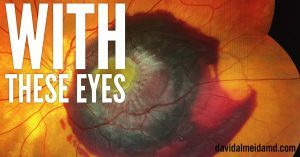 MEDICINE & MACULA: Many thanks to Scott Krzywonos, Editor-in-Chief of New Retina MD and producer of the New Retina Radio podcast. I was on the latest New Retina Radio Podcast. Check out Episode 4, PhD, MBA, JD, MS: Alphabet Soup where we discuss how multiple degrees, beyond the Medical Doctor, enrich the role of the physician and the subspecialty of vitreoretinal surgery. GRATIS: Both productivity and creativity are concepts that improve with journaling. Write down 1-3 new ideas each day. 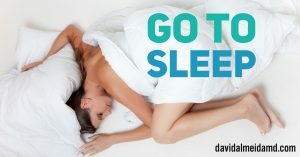 Do this at a time of day when you are alert and awake (not as a checklist before bed). Warning: they will be terrible at first, but this is ok. Like working a muscle, you need to build up strength, endurance, and precision in the execution of creative thought. Next, write down one problem or process that hinders your productivity (look out for the repeated theme of procrastination). The latter will allow you to identify areas that bleed productivity from your life. Finally, periodically reflect on your points to strengthen your creativity and intellectual prowess. Not uncommonly, you will be pleasantly surprised to find creative solutions to productivity problems.